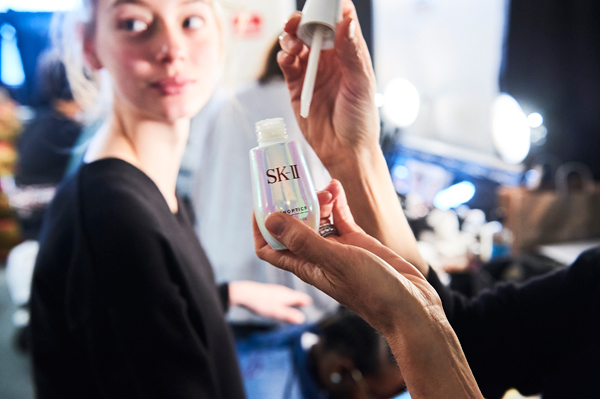 To prep the models’ skin prior to makeup application, SK-II Facial Treatment Essence was patted and gently massaged into the skin. The brand’s signature product is formulated with over 90% pure PITERATM, which promotes the skin’s natural surface rejuvenation process, balances the moisture barrier for overall hydration and elasticity, and instantly refreshes skin for an even, radiant complexion. 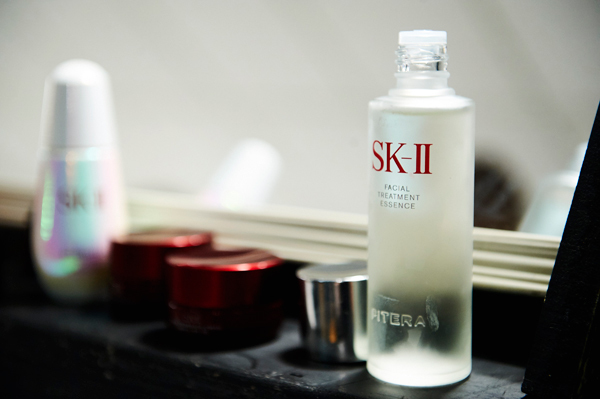 Next, recent launch SK-II GenOptics Aura Essence was applied to help brighten and plump the skin. 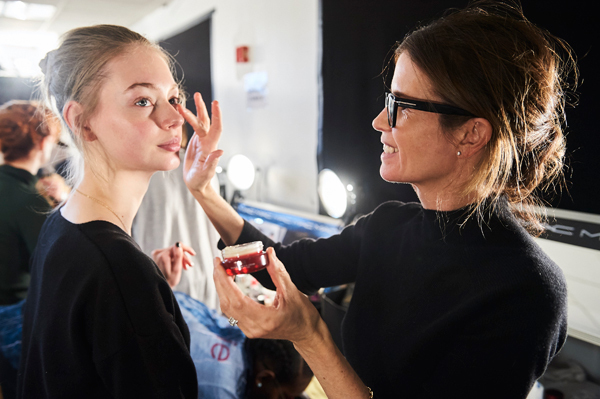 The unique lightweight serum formula is packed with anti-oxidants, humectants, vitamins and minerals to instantly brighten dull skin after several busy, long days of shows. Finally, the brand new SK-II R.N.A. Power Eye Cream was gently massaged under the eyes. The hydrating eye cream is specially formulated to leave skin around the eyes firmer, smoother and brighter – the perfect canvas for eye makeup application. 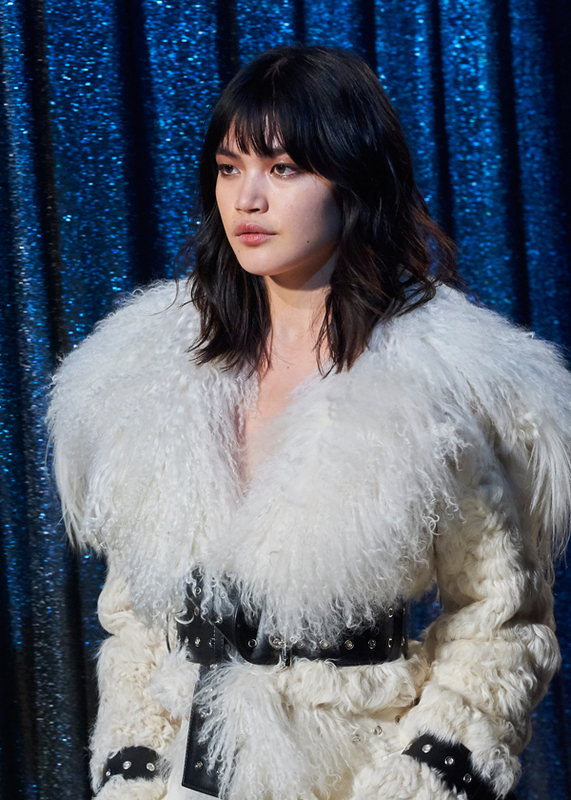 Once each model showcased hydrated, healthy skin, Gucci applied makeup to enhance the skin’s natural glow with a wet, glossy eye and a dab of wine color in the middle of the lips.